I wanted to feature a drink that had kiwi in it, and I found the Kiwi Colada! For this recipe, it'll serve 6 people. Cut 4 kiwifruit into quarters, and place in a blender. Set remaining kiwifruit aside. Add ice and remaining ingredients to blender; process until smooth. Strain mixture through a sieve into a pitcher; discard seeds. Divide evenly among 6 glasses. Cut remaining kiwifruit into 6 slices; garnish each glass with 1 kiwifruit slice. wow this looks and sounds soo good, makes me wish it was summer in Aus! 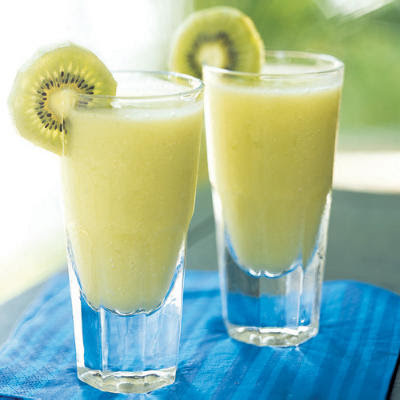 I love kiwi...I adore coctails...YUMMY! That looks so incredible and delicious. I'd love to have one of those. Yummy! 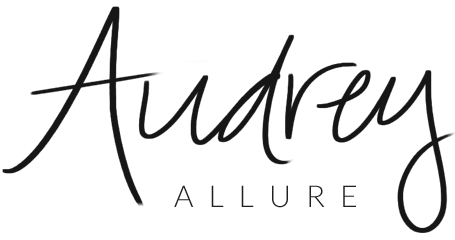 I am always looking forward to your Tasty Thursday Audrey!!!! Your tasty thursday posts are always so yummy! Haven't had kiwi in ages!! 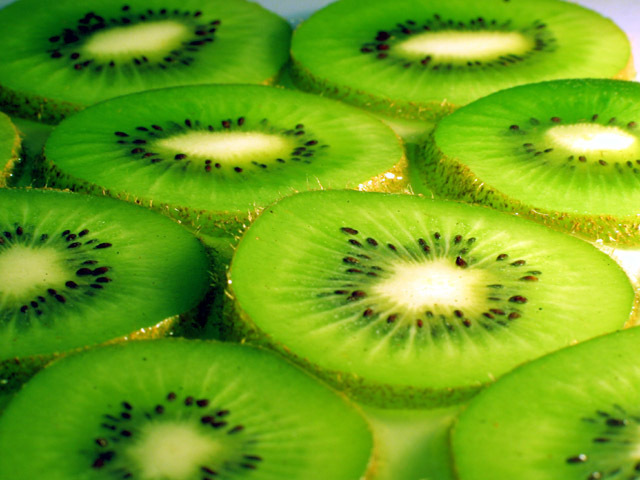 Ooh I love Kiwis, and this looks so delicious! A virgin version would be great! I always love kiwi! Wow, that looks incredible! I love pina coladas and this looks like a fun twist. ooOOOOOhh thanks darling. this looks and sounds so so yummy! hahaha so ive been trying to CUT down on my alcohol intake, but this just might change my mind. i love coladas! That looks sooo good. Yum. I want to try this. Kiwi is really the only fruit that I'm not a fan of but this color is so pretty. Wonder if I could sub in another fruit? It sounds tasty!